To provide outstanding parks, services, facilities and recreation programs that enrich lives, promote healthy living and inspire memorable experiences. The Deerfield Park District was established in 1951 to provide recreation programs and facilities for residents of all ages. The park system operates on revenue received from the district’s share of real estate property taxes and user fees. District taxpayers have priority in all of our classes. In 1955, the district built its first facility, the fieldhouse in Jewett Park. In 1973 the Jewett Park Community Center was opened, and in 2003 the Patty Turner Center (a joint program of the Deerfield Park District and the Village of Deerfield offering programs and services for adults 50 and above) was opened to the public. With the construction of these two new facilities, the fieldhouse was torn down and replaced by a park pavilion with a warming house, restrooms, outdoor fireplace, a path system, new playground and more. The Deerfield Park District has come a long way since 1951, and the variety of programs and services continues to expand and evolve to meet the needs of our residents. 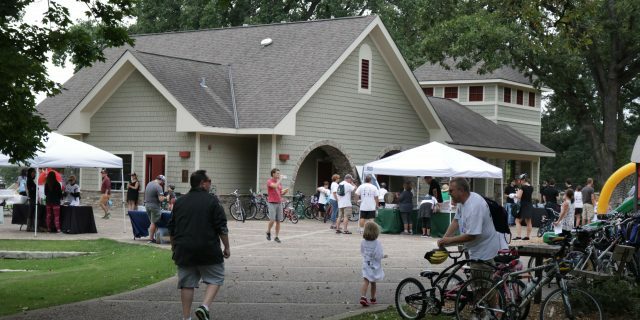 As we continue to grow and flourish, the members of our community not only benefit from recreation and leisure opportunities for personal enjoyment, health benefits, skill development and the like, but also from both paid and volunteer work opportunities created by the Park District on a year-round basis. We look forward to continuing to serve our community with creative, safe and enjoyable offerings. The district is governed by an elected board of park commissioners who serve four year terms of office without pay. The board meets the third Thursday of each month at the Jewett Park Community Center. Board members set policy for the district, which is administered by a director of parks and recreation and a staff of recreation professionals. The board receives community input through its citizen advisory committees, composed of appointed community volunteers, and from the general public.